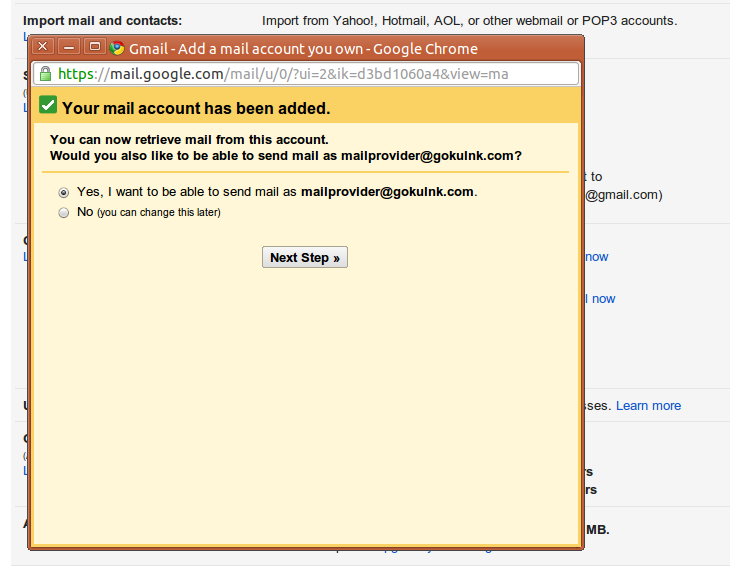 Yes now you can mail me at gmail@gokulnk.com How did I do that? Check out this step by step manual. 1.) 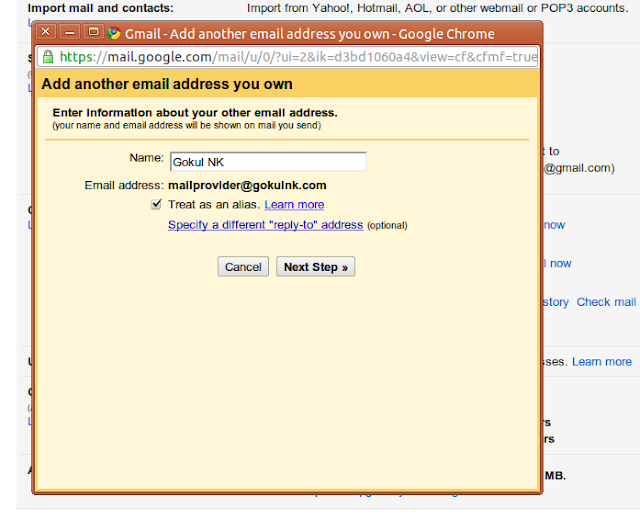 Go to your c-panel and click on the Email Accounts. 3. Once you create the mail make sure the your mail server has POP3 enabled. 4. 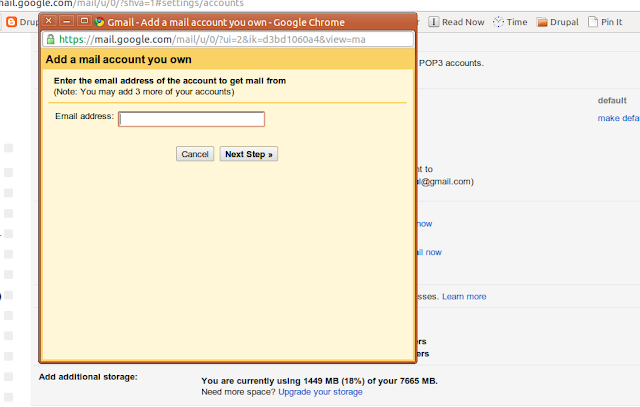 Now to to your gmail. 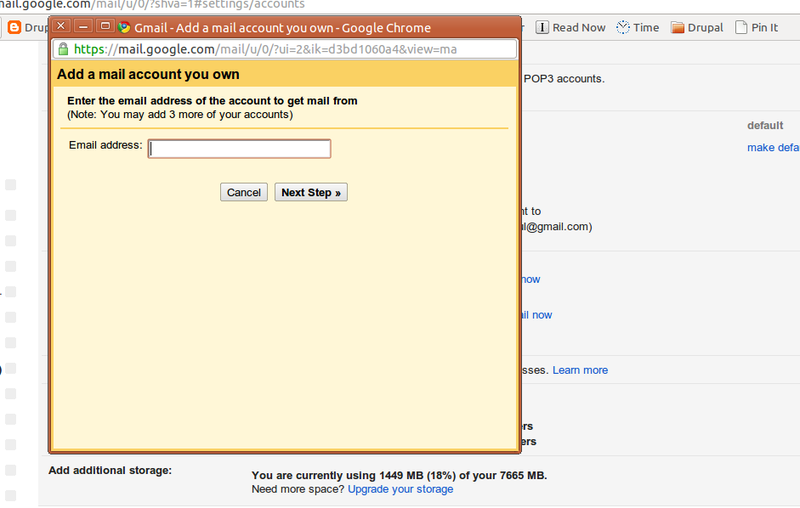 Click on the gear icon and then click on Mail settings. 5. Click on the Accounts and import tab. 6. 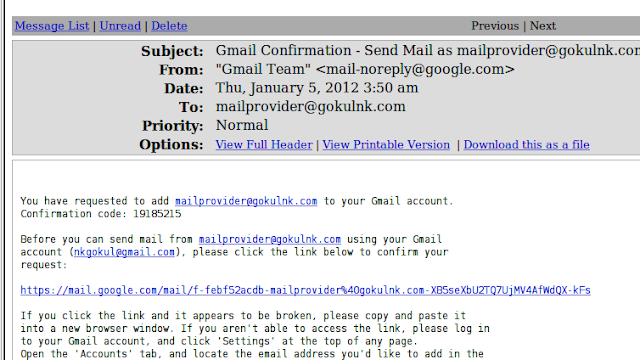 Scroll down until you find "Check mail using POP3"
8. 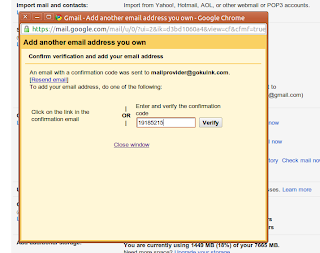 Enter all the credentials of the account. 10. 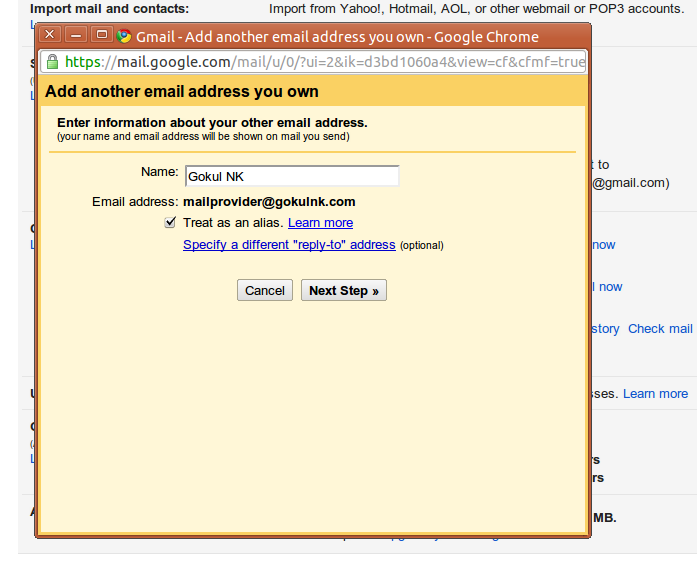 Enter the name that should appear for the mail id. 11. Select whether you want to send the mail using gmail infrastructure or your server. 12. Click on Send Verification. 13. 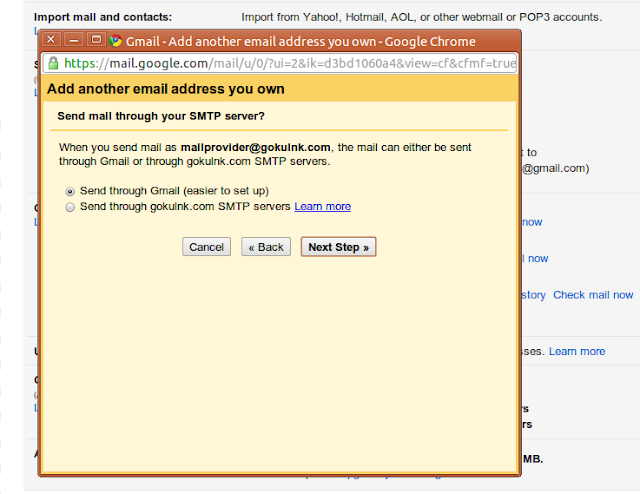 Now go to your mail setting from the cpanel of you hosting account. 14. 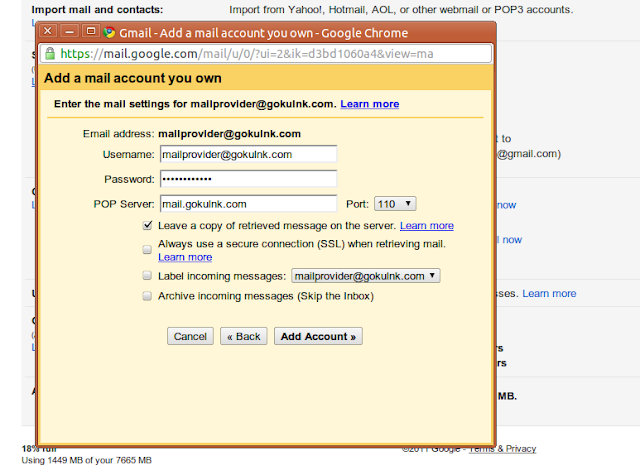 Click on Access webmail and check the mail. 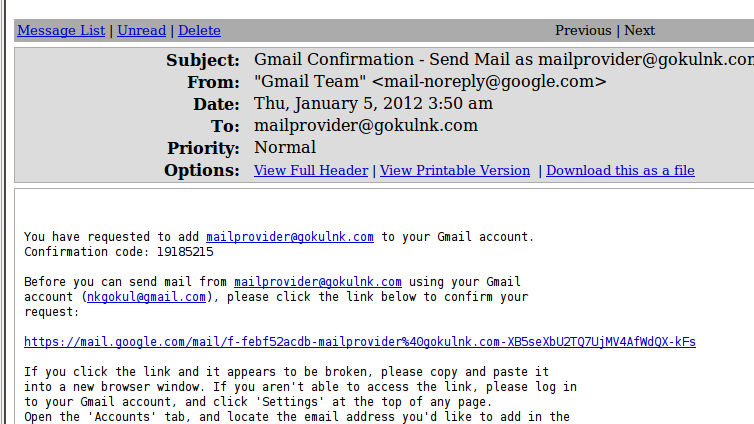 You would have recieved a mail from google. 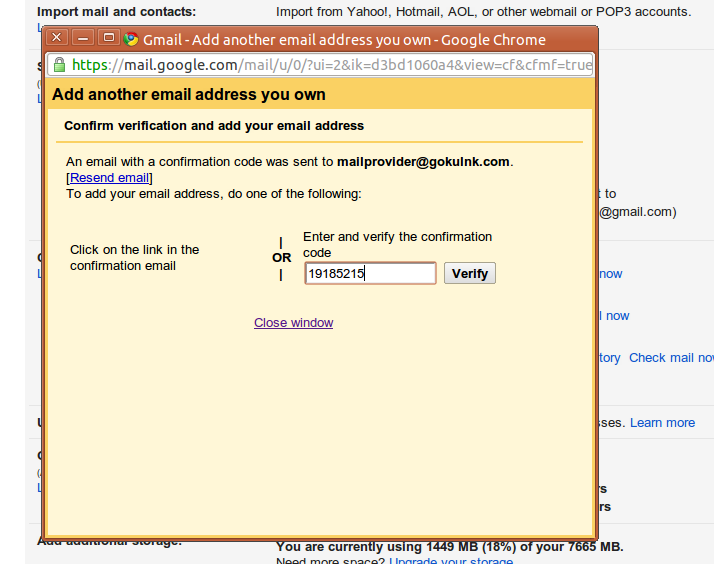 Copy the confirmation code from the mail. 15. 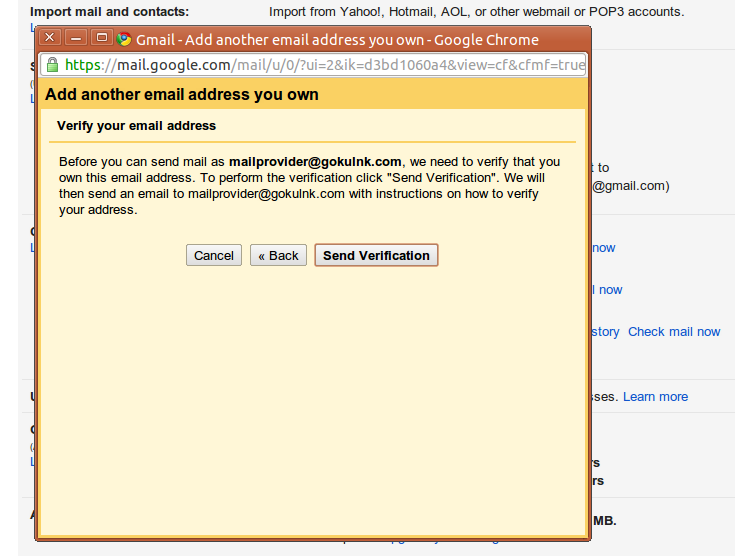 Go to gmail and paste the Verification code. Thats it you are done now. Now send a mail to mailprovider@gokulnk.com[gmail@gokulnk.com] and it will be in my account.